Where is the Rug Going to be Placed? The first question is obvious; where are you going to place the rug? The expert interior designers in Pakistan like AmerAdnan strongly recommend using different rugs in different parts of a home to ensure 100% practicability and comfortable living. For instance, a rug which is placed in the busiest part of your home i.e. living room, needs to be extra durable. On the other hand, a rug that is intended to be placed in a bedroom needs to be much softer and indulgent in texture. While you plan to buy a rug for any specific part of your home, make sure that it won’t be obstructing anything such as doorways, entrances etc. Besides, the rug should not become a trip hazard. While you plan buying a rug, there might be many different reasons. You may be buying rug to protect a specific part of flooring or you would be doing so just to enhance the aesthetic appeal of your room. Before you finally drain your hard-earned money on a brand new rug, you must ensure its 100% practicable. This can be done by making sure that the material it is made of is durable and washable. Besides, it needs to fit perfectly with your room’s existing decor and theme color. What are the Different Styles of Rugs Available in the Market? There are many different styles of rugs available in the market so you will need to know about the each type of rug before you could finally make the right purchase. Below are three most popular types of rugs you can find for your home. The modern rugs include those with simple but quirky stripes to minimalist floral patterns and boost abstract shapes. The modern rugs usually feature neutral palette. 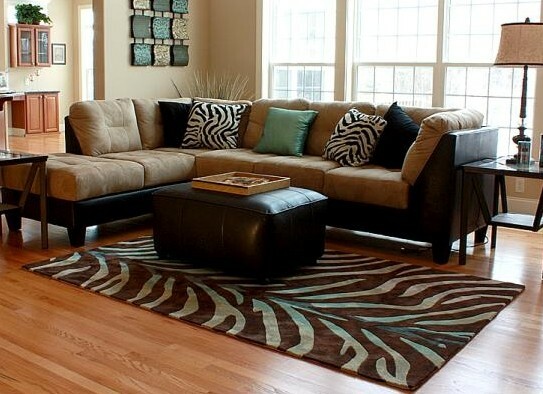 There are many types of modern rugs available in different colors and design patterns at local home decor stores. As we all know, the traditional design elements play key role in home decoration. Many of us are quite sensitive about customary designs which is why traditional rugs have high sales across home decor stores. According to AmerAdnan, the traditional rugs evoke a feeling of decadence and luxury. The rich colors and intricate details are among their primary features. The shaggy rugs are considered best for all those home decor enthusiasts who are looking to add texture and inviting warm element to their homes. The shaggy rugs are best choice for the bedrooms and living rooms, the reason being is they are super luxurious and extremely comfortable.